How to convert all my vocabulary from ProVoc to Anki? How to convert my learning progress from ProVoc to Anki? As ProVoc has an export facility and Anki can import various file formats, an easy script could convert my ProVoc vobulary to Anki. As Anki uses a completely different system of learning (spaced repetition) which is somewhat incompatible to ProVoc’s own system, that only partly resembles the SRS techniques of Anki, I decided to start afresh in Anki. 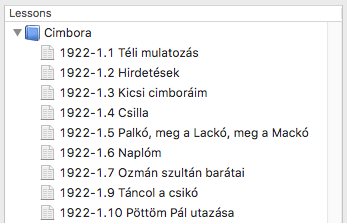 Because I didn’t want to have a stack of tens of thousands of unlearned vocabulary in Anki after the initial import – of which I probably knew the greatest part – I wanted to have the imported vocabulary correctly tagged with the lessons’ and chapters’ names from ProVoc. 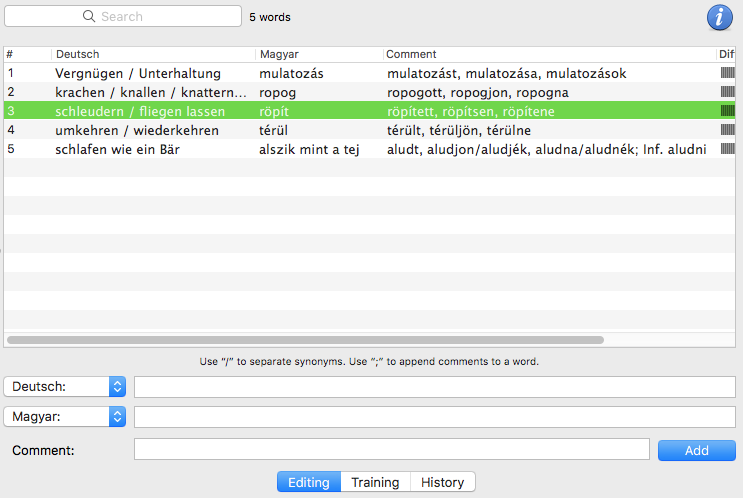 That way I could move the old vocabulary to some subdeck for later use and concentrate on adding new, current vocabulary directly to Anki. 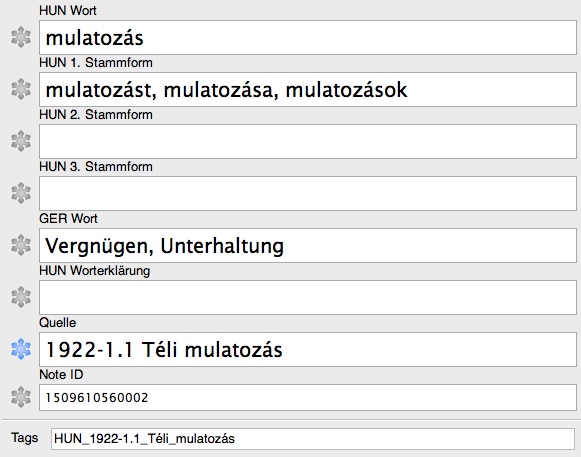 The first import of about 40,000 hungarian cards ran without any problems. Now I only need to make cosmetic changes like splitting up the different principal forms, weeding out no longer needed duplicate cards and from time to time moving some blocks of old vocabulary to my current deck to repeat them and see what I remember from like ten years ago. Farewell and thank you, ProVoc! – Welcome, Anki!